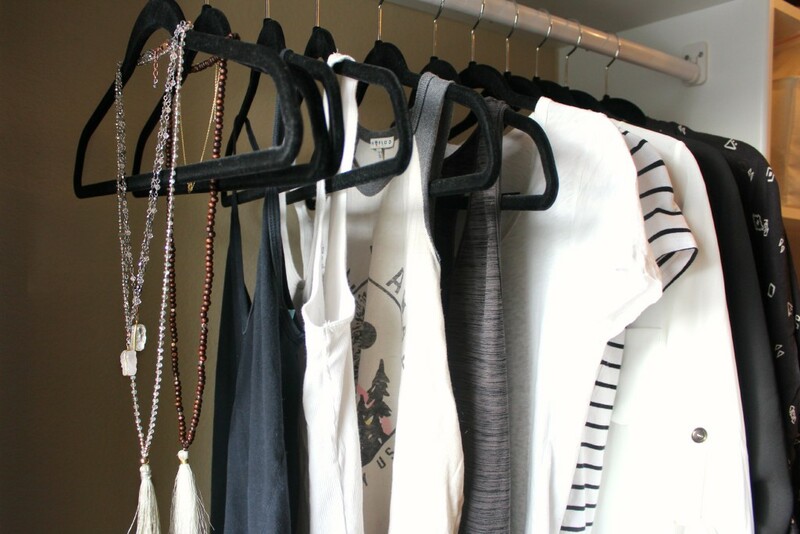 Earlier this year, I decided to embrace a capsule wardrobe and break up with over 60% of my clothing. It turns out less clothes also means less morning chaos, less clutter, less laundry, and more time to focus on what truly matters to me (like playing with my boys, bike riding, hanging with friends, and cooking). Less clothing also means that this fun-loving, messy, stain-prone lady needs extra help keeping my wardrobe intact. Like the generations before me, I turn to Shout®. Shout® has been a product that fashionistas have trusted for years to help them maintain some of their favorite items- even as the trend of pre-worn clothes remains a hot trend. Each piece of my seasonal wardrobe capsules is sacred, versatile, and plays an epic role in my sartorial choices. When deciding to take the minimalistic approach to fashion, I may have neglected to remember what impact my constant smoothie spills and boymom badges (aka handprints from dirty little boys) would have. Any time is too long to have an item of clothing out of rotation. The foodie in me and the fashionista in me aren’t always besties. And it turns out, I’m not alone. One in three Americans will avoid wearing white because of stains. The anthocyanins responsible for the gorgeous color pigment of berries have all kinds of awesome effects on the body but NOT on your clothes…which is where mine tend to end up almost daily. 22 percent of Americans avoid wearing their favorite outfit altogether if there’s even a chance of getting a stain #gasp. I don’t have to wear my organic produce residue for long thanks to Shout®. 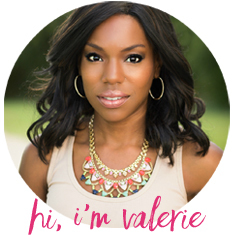 Shout® is what my mama used back in the day and what I use now that I’m a parent dealing with “millenial stains” like sriracha sauce, bacon grease, and kale smoothies. ? 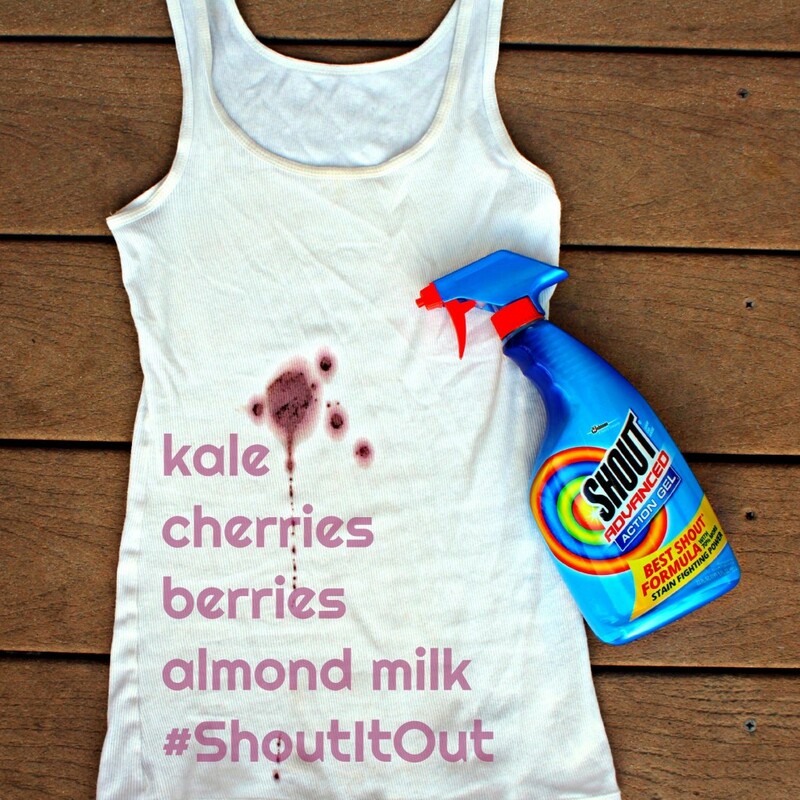 I used Shout® Advanced Gel on this kale smoothie stain because it’s a super-concentrated gel that’s specially formulated to tackle stubborn, set-in stains and works great on everyday stains, too. Shout® even has a Stain Solution guide on their website so you don’t have to search the ends of the internet before your bicycle grease stain sets in. Despite millennials learning to do laundry, on average at age 14, as part of at-home chores, their number one concern when doing laundry is not being able to get a stain out. Be still my tech-savvy heart. My favorite white tank is back in pristine condition…until the next spill.